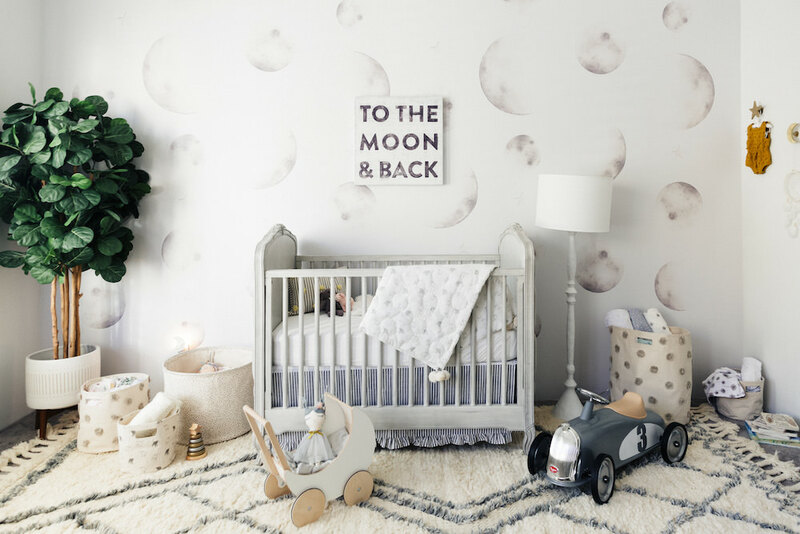 I am so incredibly excited to finally share with you Luna's moon-themed nursery reveal! It was a long time in the works and certainly a labor of love and I absolutely love the way it turned out. I had dreamed of creating a grey toned gender-neutral space for her that had just the right amount of feminine touch. A custom and unique nursery that themes off of her beautiful name that means so much to us and holds dear sentiment in our hearts. A place where she could lay her head at night and know how deeply she is loved. To do so, I partnered with the ever-talented Anewall to create a custom moon wallpaper and I truly adore the way the 'Luna Mural' turned out. And seriously, how cool is it that our special daughter has a wallpaper named after her?! I am dying. The wallpaper feels so perfectly whimsical and exactly what I envisioned. Creating her nursery was actually quite the process for me. I was in the midst of nesting her nursery in our old home when my husband informed me that our house had suddenly sold. So I had to somewhat scrap everything and begin anew but I really love the way it all came together with the help of my friend Laura. And I am so excited to say that you can see more of Luna's special nursery reveal over on Glitter Guide today. I am also sharing my thoughts on motherhood with them, including my favorite parts of motherhood so far, why I chose to publicly share our infertility struggles, what Luna's name means and what a typical day looks like for us. Go check it out and let me know what you think of her nursery reveal in the comments below. 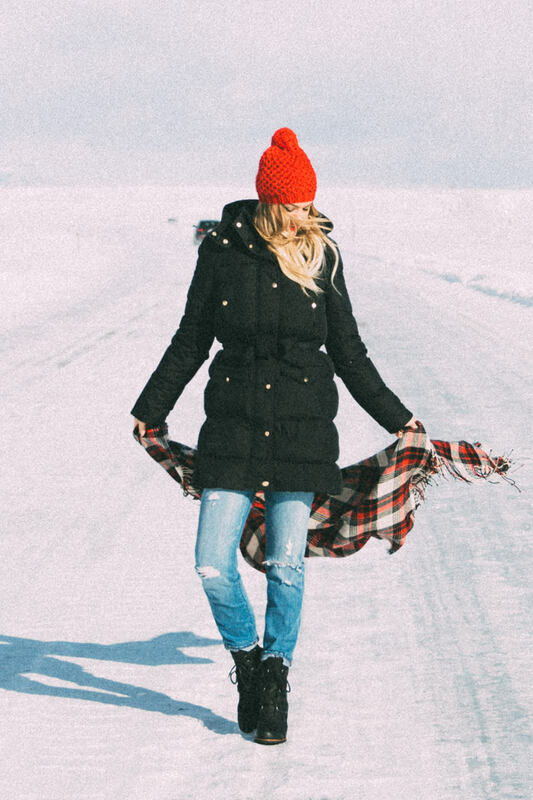 Where is your gorgeous dress from? It looks so pretty! I love the chandelier!! very sweet and whimsical, I love it! Her nursery is so precious! I love the decor and omg that bunny onesie is adorable!